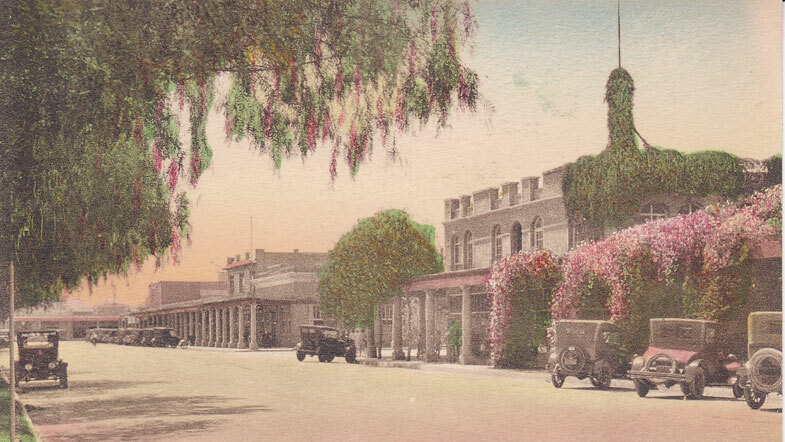 Continuing the tradition established in 1912, we provide our guests with a world-class stay in the heart of historic Chandler. Choose from one of our 249 guestrooms and suites with either a balcony or patio, each featuring an array of premium amenities. Newly renovated, the historic San Marcos Golf Course offer 18-holes of PGA-quality golf, a driving range, lessons, group golf, and a world-class pro shop. A par 72 course, it’s perfect for the casual golfer or more experienced player seeking a challenge. Our ideal location in the heart of historic Chandler makes us a great hotel for groups visiting Chandler. From leisure tours, corporate conventions, sports teams, and military groups we have the space to accommodate groups of nearly any size. Historic, stylish, and situated on a world-class golf course we are the ideal meeting and event venue in Chandler. Located near Phoenix, we offer 35,000 square feet of flexible space perfect for events that call for an elevated sense of style. A lifelong dream is finally about to become a reality. The fairy tale moment you have always imagined is getting closer and closer to coming true. Of course, saying “yes” is just the beginning. The unique culture and historic sites and sounds of Chandler are at your fingertips. Enjoy the vibrant art scene and stroll the streets of Old Town Chandler Square exploring the many unique shops, boutiques, galleries, cafes, and restaurants. 1912 was a big year for Arizona. Still a territory at the time, Arizona officially became the 48th state on February 14, 1912, and that same year Dr. Alexander J. Chandler founded a small town just southeast of Phoenix. Naming it after himself, Dr. Chandler had big plans for his little town hoping to create a “jewel in the desert.” Dr. Chandler believed his town could one day become a totally planned community and an oasis in the desert where the rich and famous would flock. 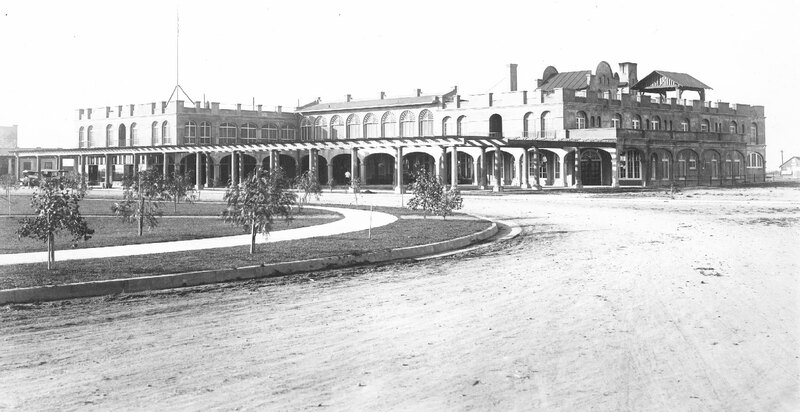 Hiring architect Arthur Burnett Benton, who was an authority on California mission design, the construction on the resort began and when it opened in 1913 the original San Marcos Resort had 35 guest rooms, a lobby, dining room, ballroom, and a full range of resort amenities like golf, horseback riding, and polo. 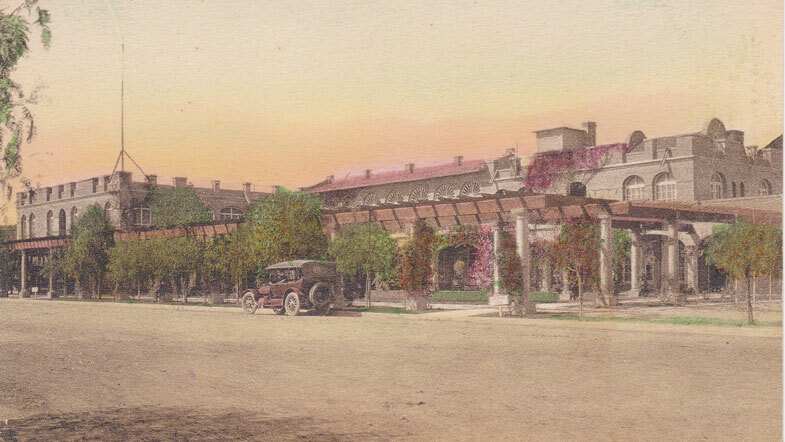 One of the design accents that became a trademark feature of the resort was the construction of pergolas, which framed almost the entire structure. To this day, the resort remains one of the best examples of integrated Mission Revival design in Arizona. The San Marcos Resort became a popular retreat and desert playground for the rich and famous. Hollywood celebrities, socialites, athletes, authors, artists, and heads of industry traveled from all over the world to soak up the warm Arizona sun and enjoy golf, swimming, and relaxing. Some of the Hollywood stars who are known to have stayed at the resort include legends such as Fred Astaire, Joan Crawford, Bing Crosby, Clark Gable, Jimmy Stewart, Gloria Swanson, and Cher. 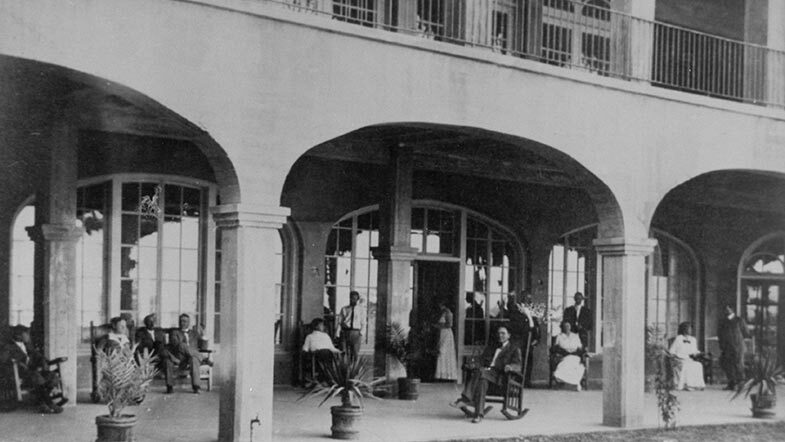 President Herbert Hoover, Christian Dior, Gene Tunney, and Margaret Sanger also visited the San Marcos Resort. One of Dr. Chandler’s close friends was famed architect Frank Lloyd Wright who visited the San Marcos Resort during its construction. During this time he and Dr. Chandler began working on a plan to build an even more modern and luxurious resort at the foot of Phoenix’s South Mountain. Unfortunately, the Great Depression stifled Dr. Chandler’s expansion plans. But the San Marcos Resort persevered. In fact, expansion of the resort began almost immediately after it opened. In 1916, eight bungalows were added, as well as a surrounding park area which featured sunken gardens, walking paths, pool, and playfield. More extensive changes occurred in 1924 when architect Myron Hunt, master of Spanish Colonial Revival design and designer of the Rose Bowl, added 16 bungalows and a second-story terrace. By 1932, the resort was able to accommodate 225 guests and was repainted with white and blue to add some contrast to the dark wood Mission look. In 1936, Dr. Chandler sold the hotel for $1 million but remained as president of the property. Some of the biggest enhancements occurred in 1954 when all baths were tiled and fitted with a tub and shower; the remaining pergolas were removed and replaced with wrought-iron grillwork for a more modern Spanish look. Guest rooms were expanded to accommodate 300 and the lobby, dining room and cocktail lounge were completely remodeled. The resort underwent hardship in the late 70’s and early 80’s and was shuttered between 1979 and 1986. It reopened in 1987 following the restoration of the original building and the addition of 250 rooms. 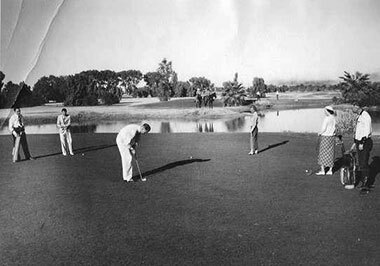 The 100-acre golf course was built in 1913 and was seeded with Bermuda grass, making it the first grass links in Arizona. Fifteen years later in 1928 the course was redesigned and was built to include a sprinkler system. Fresh off a multi-million dollar renovation, today the 18-hole San Marcos Golf Course sits on 72 well-manicured acres and includes a state-of-the-art irrigation system that produces premium playing conditions year-round. © 2019 Crowne Plaza Phoenix-Chandler Golf Resort. All rights reserved.